The emcsr avantgarde will offer satellite workshops that are focused on a specific topic, organized by an invited group of already established researchers, and offer opportunities to showcase and further elaborate contemporary trends in Cybernetics, Systems Science and Systems Design. 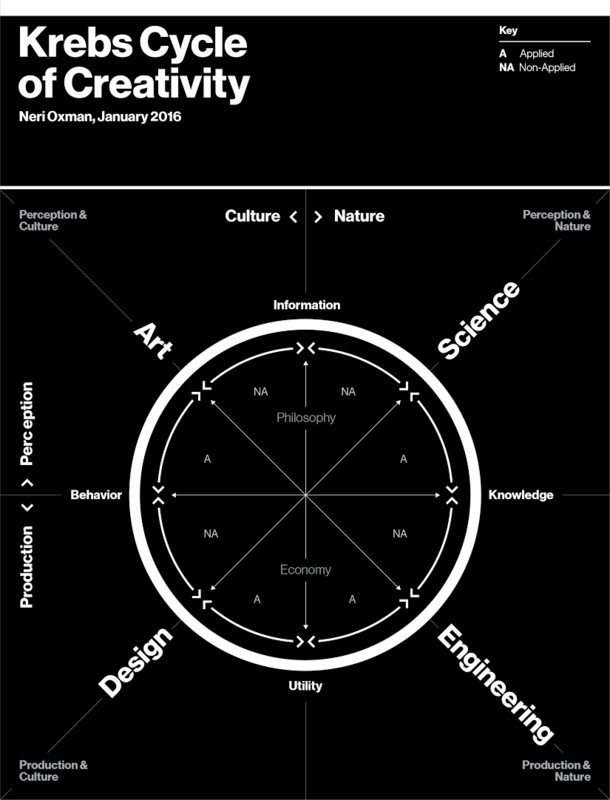 The Krebs Cycle of Creativity is a map that can help you answer the question of your submissions positioning. Source: Oxman, N. (2016) Krebs Cycle of Creativity (KCC). In: Ito, J. Design and Science. Can design advance science, and can science advance design? http://www.pubpub.org/pub/designandscience, last modified date: 13.01.2016. If you want to be an emcsr avantgarde workshop leader send us your concept including your requested invited participants until 19 February, 2016! The closing date cannot be extended. All extended concepts have to be submitted via emcsr.avantgarde@bcsss.org. You will be notified of acceptance or rejection until 4 March, 2016.